Please do not be terrible like almost all the other death and black metal comebacks. 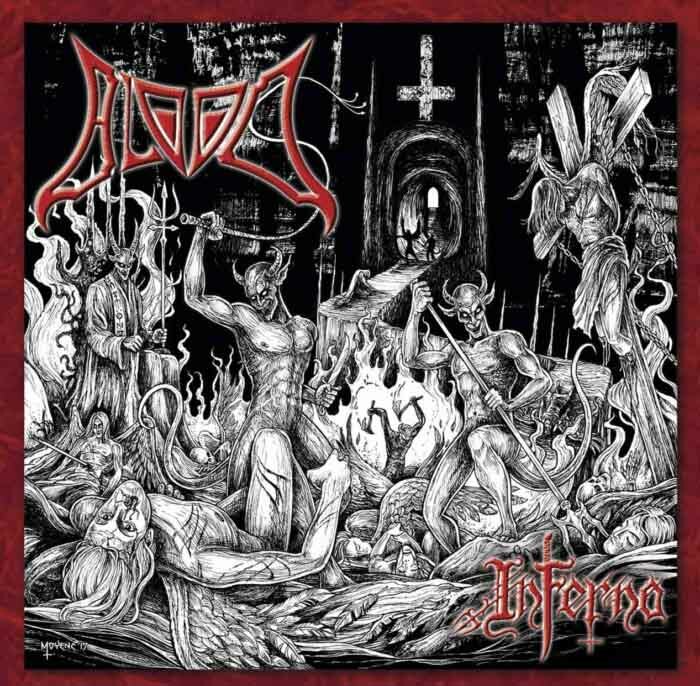 Inferno‘s cover was drawn by Chris Moyen and may be preordered along with Blood’s prior albums and merchandise from Blood’s online shop. Blood – Inferno scheduled for september 2017. Thanks to our studiomagicians Kristian Kohle Kohlmannslehner and Kai Stahlenberg of Kohlekeller Studio, where also Aborted and Benighted get their destructive sounds. Thanks to all our longtime fans from all over the world for their eternal support! i’m hoping blood can tweak their formula just enough to make this release worthwhile. the band started recycling riffs verbatim from previous albums by the mid 90s soooo hopefully their time off let them gestate some new ideas. It´s not exactly a comeback, since the band never ceased to exist. It took 14 years since the last release – well, the record will sound different,massive sound, but judge for yourself, releasedate is Sep. 29th 2017, completely self released by the band.